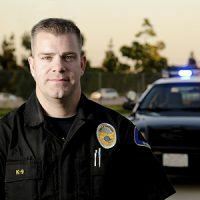 If your child is acting out physically by abusing you or other family members, destroying property, or threatening others, then you may want to consider talking proactively with the police. This step to work collaboratively with the police before you actually need them can save you a great deal of grief down the road. We understand that involving the police is a very personal decision. And only you know if you are ready to take this step. But, if your child’s behavior has escalated to the point that you may need to involve the police, we recommend that you take the following steps. Call and make an appointment to speak with the chief or head of the police department. You will also want to meet with any local officers who patrol your area. You can just go down to the station, but it’s better to make an appointment and go while things are calm. Let the police know that you need their help. Your goal is that together, you can come up with a plan as to how things will be handled if they are called to your home. When developing the plan, please understand that the police are for handling legal and safety issues. In fact, let them know you will only call them when your legal rights, or those of someone in your home, have been violated. Make a list of the legal rights your child has been violating. This list may include property destruction, assault, possession of drugs in your home, breaking local curfews, or running away. Tell the police that you are not looking for them to parent your child. That’s not your goal. Instead, you’re looking for them to hold your child accountable for violating the law. You want the police to know you’re hoping your child will learn that there are consequences for his actions. And you want your child to learn that now, before he reaches adulthood and the consequences become more severe. And, finally, you want your child to understand that he does not have the right to violate your rights just because he’s family or a minor. Tell the police you’re open to any ideas they have and that you understand they cannot necessarily arrest your child. Some of your child’s behavior may not be severe enough to be taken directly to the juvenile detention center. Nevertheless, tell the police that you still want him held accountable. Ask them to take the following two actions. First, when there is an incident with your child and you call in the future, you would like the police to file a written complaint. Second, you would also like them to inform your child this will be on record and will follow him into adulthood. These actions may make an impact on your child and the choices he makes. Also, by having these complaints on record, you are leaving a paper trail. This paper trail is important if your child does end up in the court system and you need written proof to back up your claims and to get him the services he may need. Ask if you can specifically request any of the officers you’ve met with to be the ones who respond to your call. These are the officers you want to come to your home if the need arises. Also, get names and business cards if they’re willing. In taking these steps, you’re improving the chances of an effective response to your child’s behavior by the police. Again, be proactive in your interactions with the police. Take along this Police Intervention Worksheet with you when you go to the station. Sit down with an officer and go through it together. Tell the officer that you’re there to find ways to hold your child accountable. And also tell them that you are willing to work with the police for a good outcome for everyone. As a team, you have a much better chance to hold your child responsible for his behavior so that he can grow into a productive, law-abiding citizen.